Culling images, especially in large numbers, is a painful task that requires time. The worst part about it is when you have to select between a few very similar pictures that all look almost the same, and you’re not sure which one to pick. 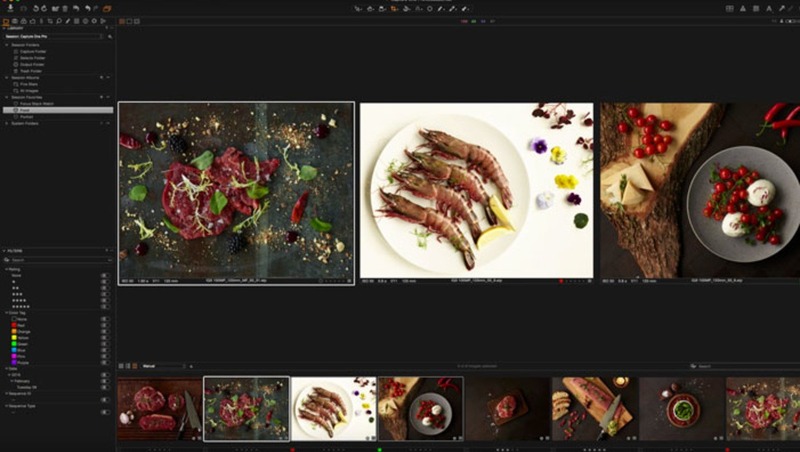 Capture One 9.2 comes up with a very handy feature for that matter: select a group of images, and then you can choose to advance through the pictures by the same number of images. So now, you can compare a few different pictures, even edit them in thumbnail mode, and once you are done with them, advance to the next group. It might seem like nothing, but having played with the beta version for a few weeks, trust me, wedding photographers will absolutely love this feature! A few other things have made their way into the software as far as selections go. You can now create an album from any selection, select variants by position, and select images from a file list. That last one might seem like nothing at first, but if you often have to ask clients for a selection of pictures to edit, print, or include in an album, then you can just import the selection from a file into Capture One and have your selection created. Paired with the creation of an album from a selection, it’s easy to see how powerful and handy that can become! The selections have gotten easier than ever, but that’s not it. To turbocharge your workflow, you can now batch “Create Masked Layer from Selection.” Meaning you will be able to create local adjustment layers from a color selection on multiple pictures almost in one click. Photographers working with high volume of images — wedding photographers included — will probably love this feature! 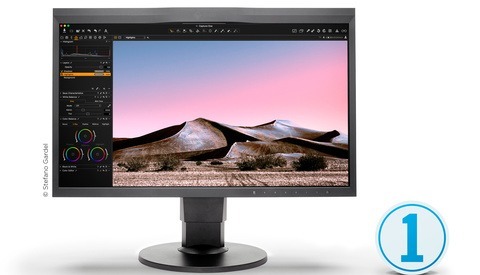 Still life photographers that do a lot of focus stacking and work with the Phase One XF will appreciate the enhanced integration with Helicon and possibility of editing multiple images at once (round-trip). TIFF files are also getting a better support. 9.1 added support for layered TIFF files, 9.2 is now improving color rendition. You should not see any difference between a similar TIFF opened in Photoshop, Lightroom, and Capture One. Capture One Pro 9.2 is already available, for both Mac and Windows, as you read these lines. You can try and buy from the Phase One online store — be sure to use the code AMBQUENTIN at the checkout to get 10% off your license — or from any Phase One authorized partner worldwide. If you already own a license for Capture One 9 or 9.1, this update is free of charge. For new users, Capture One 9 is $299. For more information be sure to check out Phase One’s website. I have never liked Capture One, despite of the praises it gets, I end up scratching my head with this software. I'm not all pro with Lightroom, but it has always been easier to understand Adobe's software. I am currently trying C1 out. And yes, it is quite confusing at first. I'm somewhat starting to get comfortable with the basics of it but there are things I find are way more complicated than they should be. IQ is a bit better than Lr but not on every photo. Some photos, when perfectly in focus, are just as good in Lr than C1. You can do more in C1 than in Lr but I find it adds a bit more work too. So far, for my personal needs, I don't find C1 any better than Lr. It's more complicated, less intuitive and IQ isn't better enough to justify the switch. Of course I haven't spent enough time with it to make a final decision so I'll try and spent a bit more time before I cancel my Lr subscription (which I think likely won't happen). Nikon D5 tethering support was added in Capture One 9.1.1, back in mid-april. It is mentioned in the release notes for Capture One, but unfortunately the Phase One web-site is not correct. Awesome! Thanks for the info. Downloading now. Quentin, just so we're clear here about "journalistic integrity", are you a Phase One ambassador, and do you receive a 10% commission on all sales? In other words, is this Fstoppers "article" just an advertisement? I am a Phase One ambassador, but apart from the one sentence at the end of the article offering 10% to our readers, I don't see any advertising here. Capture One was updated today, like Photoshop was a few days ago and I think both updates deserve an article. My apologies if trying to inform our readers and offering them ways to save money is perceived as advertising. Ive started to use C1 this year. The difference is huge with RAW exposure/color normalization, even with FF files. The organization part. IT'S HORRIBLE. Nothing compares to Lightroom in that department. Color correcting skin is a breeze here and as I mainly shoot fashion It suits good for now. Still, not gonna lose LR over this completely. For the past 8 years, my workflow has been LR>PS>LR. Now that architectural photography has become a bigger part of my work portfolio, my workflow is C1>PS>LR. As many have said here already, LR GUI just seems to be easier to pick up and use. However, I have been using C1 for about 3 months now and I actually think, in some ways, its GUI makes more sense and easier to use, not to mention it has layered adjustments like PS......PLEASE Adobe add this to LR, along with assigning keystroke shortcuts. It made sense that Adobe made some key features as PS only features BEFORE they started to bundle LR & PS in a CC package. But now, they need to add more PS features into LR. C1 seems bad at memory management. C1 regularly freezes on my 27" 5k iMac which is running a 1gb SSD and 32gb of RAM.....shouldn't be happening. C1 auto mask needs serious help, LR / PS auto mask hands down crushes C1. C1 - did I mention it has adjustment layers!!!!! Did you hear me this time Adobe? C1 cant round trip PSD files like LR. C1 has pretty fast tech support, though only through email. C1 Keystone correction tool stomps the new LR keystone correction tool. The LR tool is imprecise and clunky and frankly inaccurate. C1 keystone tool flat out works! C1 can edit selective colors independently anywhere on the image. C1 highlight and shadow recovery is at first counterintuitive, but IMO way better than LR. C1 has better clarity / structure adjustments. LR seems easier to make whole image color correction easier than C1. LR cropping is much easier and intuitive than C1. LR def makes organizing images waaaaaaaaaaay easier than C1. C1 imports and renders photos much faster than LR. C1 seems not to like using OpenCL for displays. 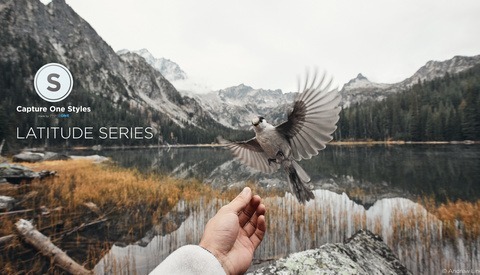 C1 lets you organize and save your workspace - like in PS - LR not so much. 3. Image organization is way easier for me in LR. My advice if you really want to try C1 is watch all the C1 tutorials Phase One has on Youtube. Pick a single image that needs a lot of editing to get it where you want it. Download the demo C1 software, you only get 30 days to use it though, so use. Try to go at it with an open mind, you might be surprised how powerful C1 is and you just might like it. Not on your list - tethering. C1 tethering is far superior and is what won me over. LR tethering let me down so much in the past. That C1 keystone is impressive, used it for the first time this week and was impressed. Good point on the tethering! I've used C1 and LR for many years. What I've learnt is simply that they both really only excel in their primary uses. 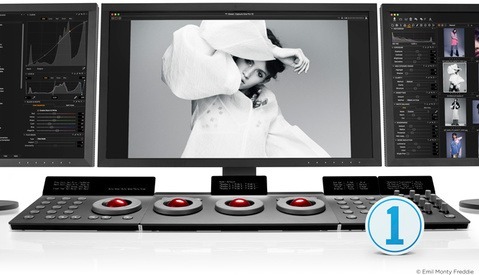 That is; C1 is the better program for digital capture and LR is best for file management, editing and post-corrections. There is not a single program out there which excels across the board. Being that I primarily shoot Fuji, C1 has been a must for me. I just wish XT1 was able to shoot tethered to C1. Outside of that, C1 blows me away every time and I'm more than happy with my result. Highly recommend!